Days turned into weeks and still there was no sign of Oliver. 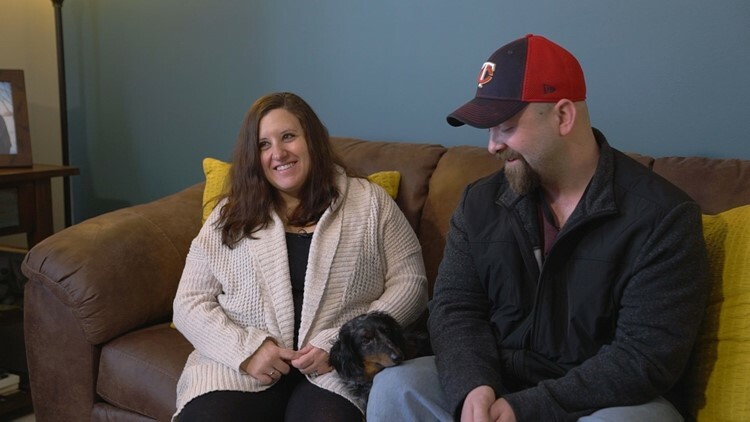 NORWOOD YOUNG AMERICA, Minn. — A miniature dachshund returned to his home in Norwood Young America three weeks after he disappeared. Matt and Mandi Rademacher have three dogs, including Oliver. Their family was opening presents on Christmas Eve when Oliver was let outside to go to the bathroom. "Didn't think anything of it," said Mandi. But someone nearby was setting off fireworks and it scared their 4-year-old dog. "He's deathly afraid of fireworks and I didn't see him so I immediately panicked and started running around looking," Matt recalled. "I was probably out looking until three, four in the morning. Got a couple hours of sleep and went right back out the next day." Matt and Mandi Rademacher have three dogs, including Oliver. The Retrievers, an all-volunteer Minnesota nonprofit that helps find lost dogs, also looked for Oliver and put up fliers. "It got down to -15 a couple nights, really, really cold snaps and one night it even rained. It's like, well he's a long-hair. If he gets wet and it's that cold, what are the odds of him surviving?" Matt recalled. But they held on to hope and left some of Oliver's things on the porch. They put out food dishes and a kennel with his blankets and some of their clothing in it—hoping the scent would reach Oliver. 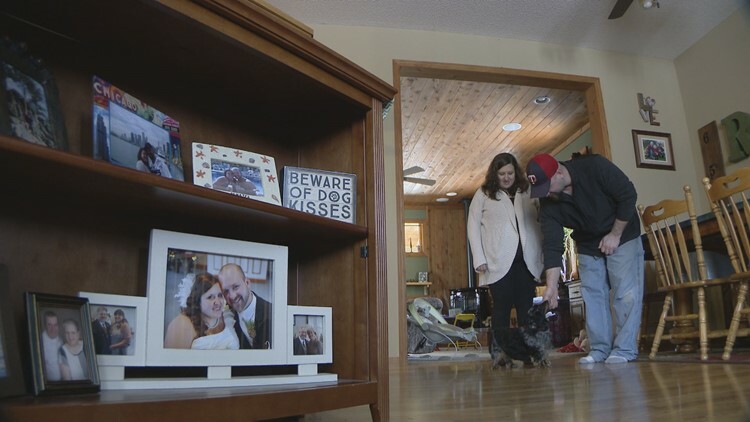 "I check that kennel five, six, seven, eight times a day and he's never in there and your hope was sinking," Matt said. Oliver Rademacher returned home on January 13. 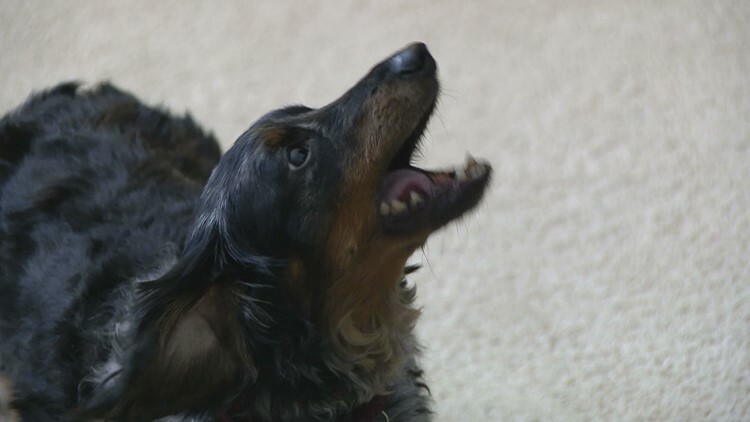 Three weeks after he disappeared, Matt let another one of their dogs outside when something spooked her on the porch. Oliver was inside the kennel. "You just kind of lose hope after so long... you know the elements of where you live and when it gets to be as cold and as yucky as it was, you just kind of lose hope and then he shows up and it's like, 'Oh my gosh, he's here but is he really here?' Kind of disbelief," Mandi said. Oliver enjoys treats while back at his home in Norwood Young America. Matt added, "To lose him was like losing one of our children. It was really, really, really stressful." Oliver came back very dirty with a large wound on his rear that was treated by a veterinarian. Matt said Oliver also lost a third of his body weight. He didn't leave his bed for a week. But now he's doing much better. Three days after Oliver returned home, the Rademachers welcomed their second child—Weston. "Our family is complete again," Matt said. The family also has a message to others out there who have missing pets, "Don't give up hope."